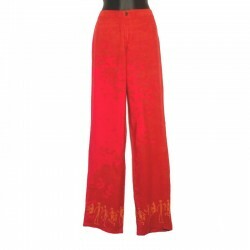 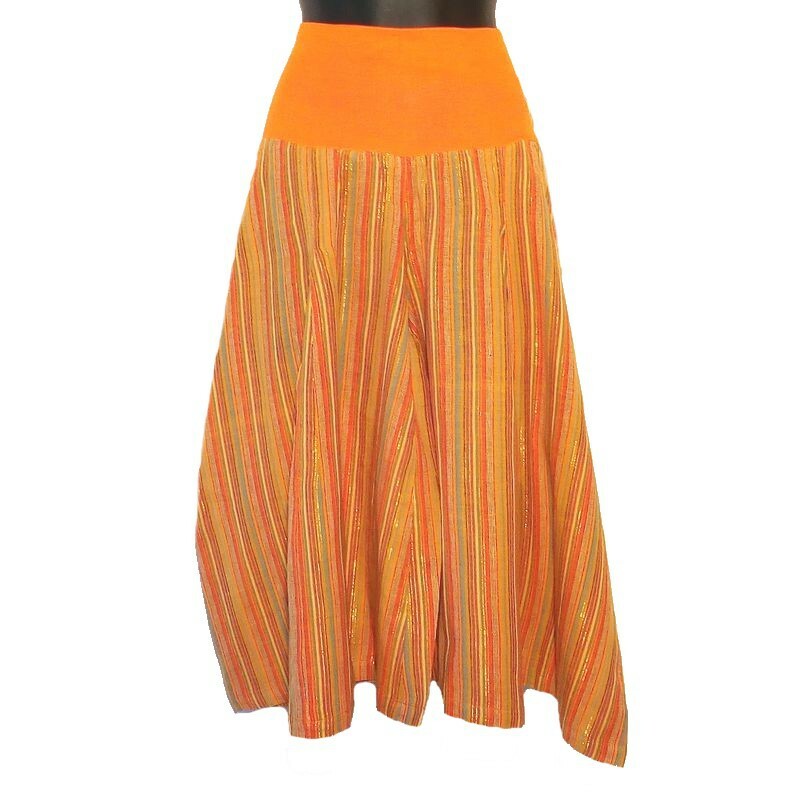 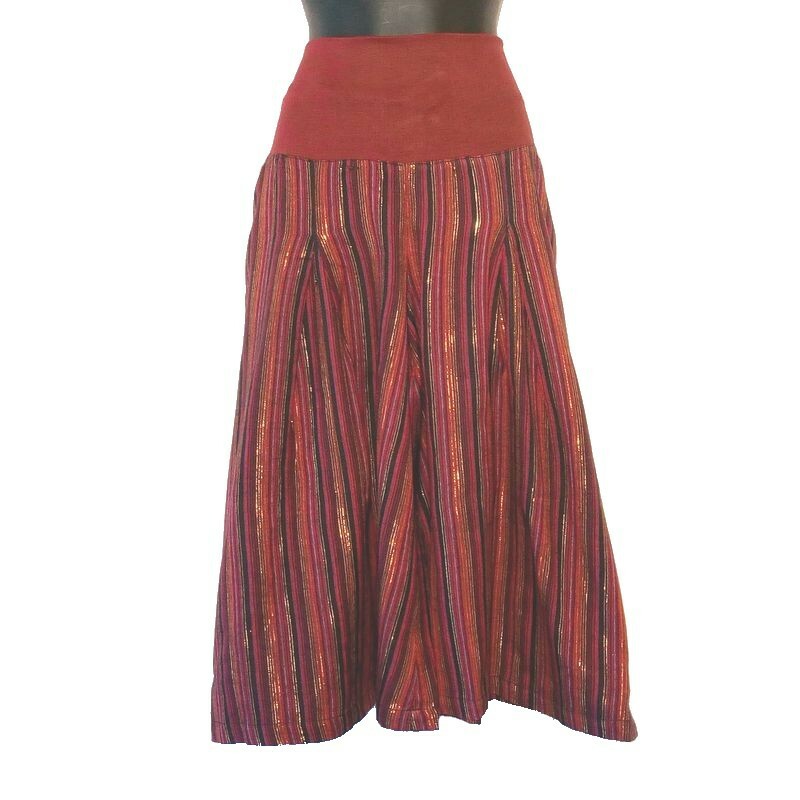 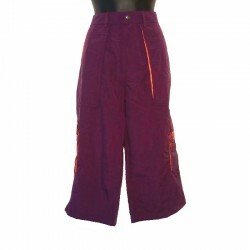 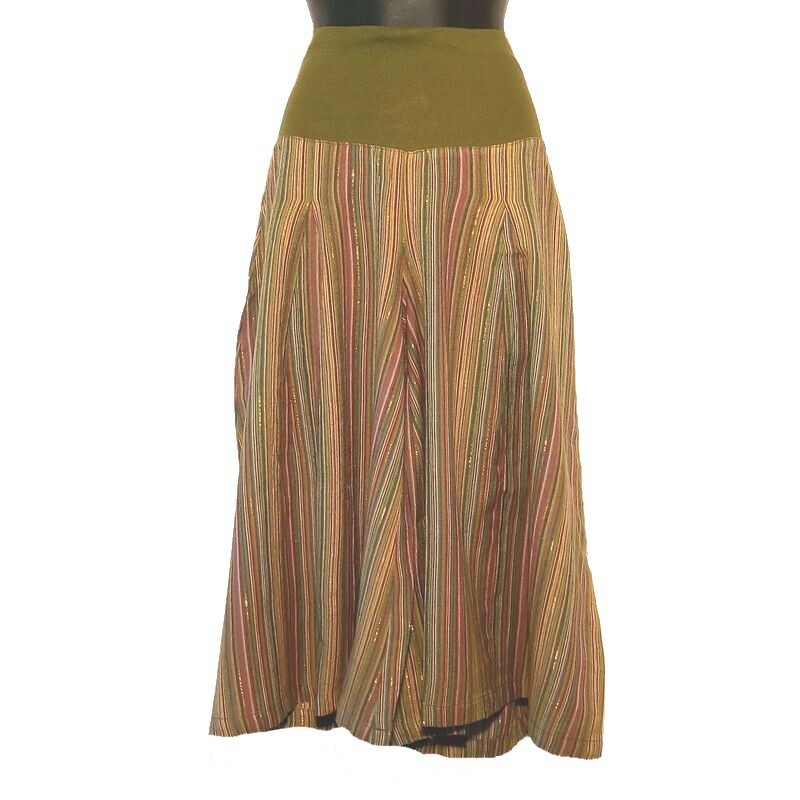 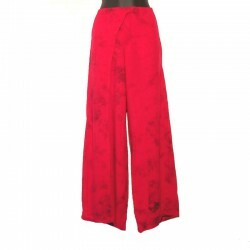 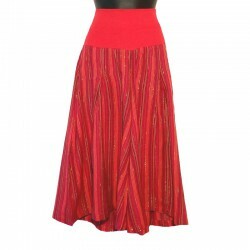 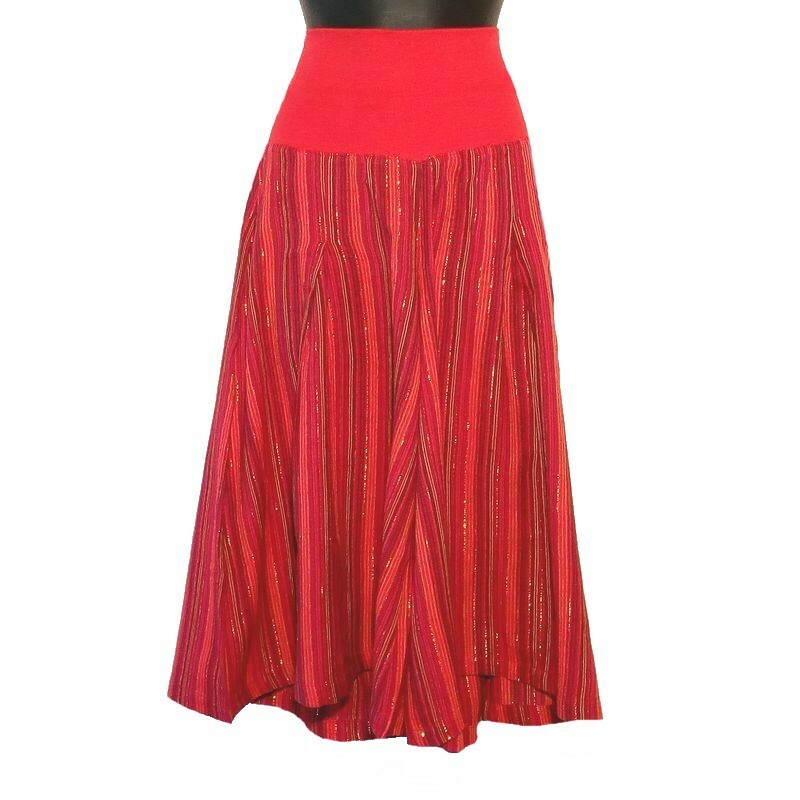 For ease of movement, wide cropped trousers in bright cotton, made in Nepal. 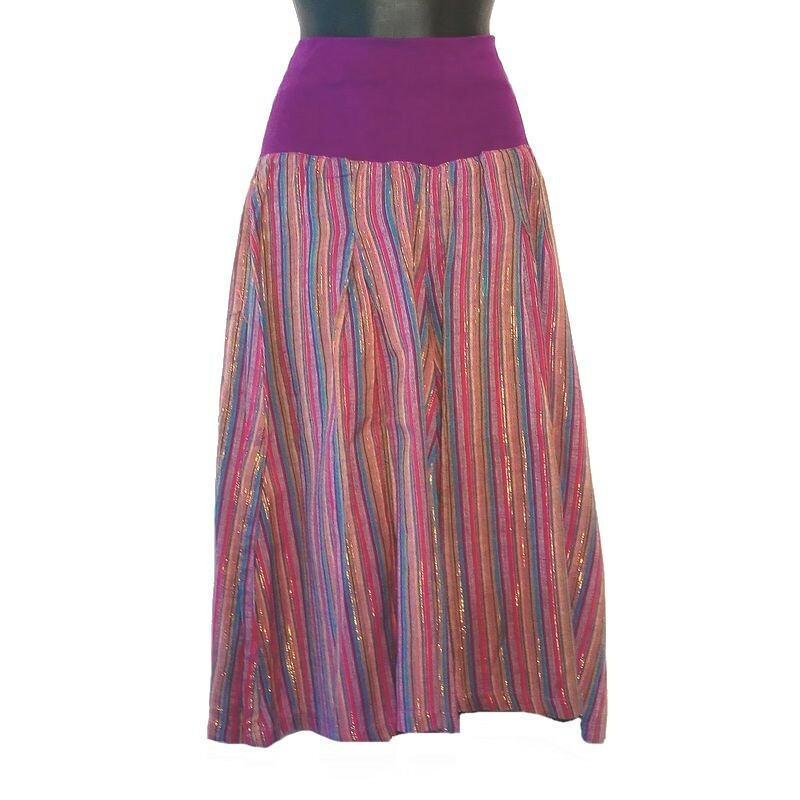 Twine tightening on the stretch belt. 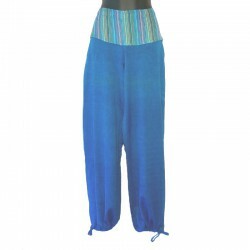 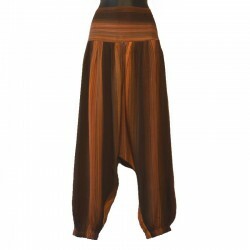 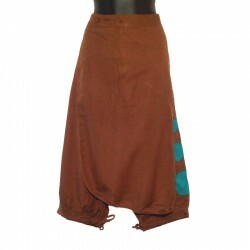 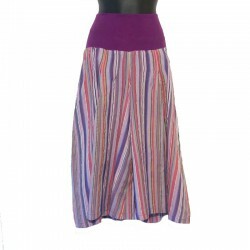 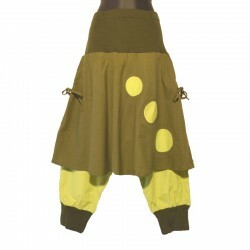 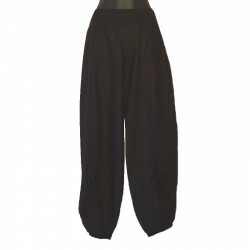 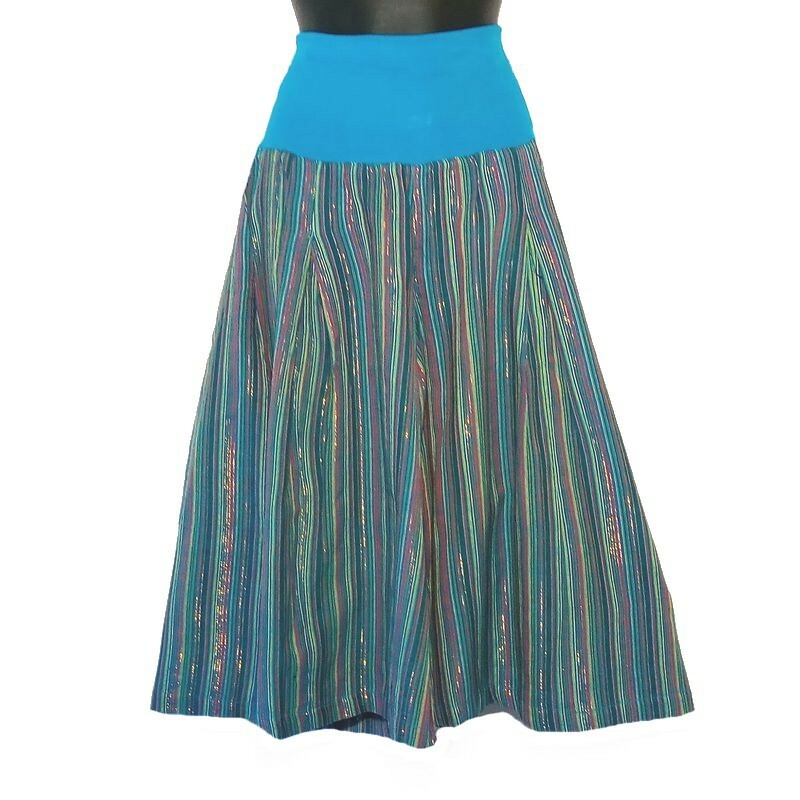 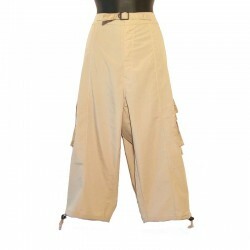 Perfect for yoga or dance, this capri pants is available in 2 sizes : S/M and M/L. 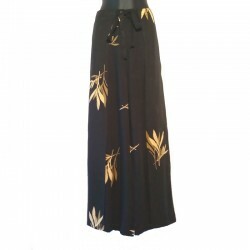 Handcraft, sizes can vary slightly.